First look at the enhanced handheld edition. 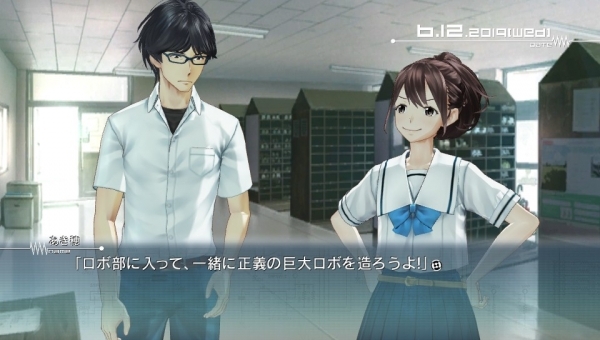 Robotics;Notes Elite, the upcoming PS Vita version of 5pb.’s sci-fi adventure game, will have several new elements, including new anime and movie scenes, and optimized 3D character models. A limited edition will include an Official Design Works book and Official Movie Works Blu-ray disc featuring things such as the opening movie and promotional videos. Robotics;Notes Elite is due out for PS Vita in Japan on June 26. View a new set of screenshots at the gallery, including images comparing the PlayStation 3 version (1280×720) to the PS Vita version (960×544).